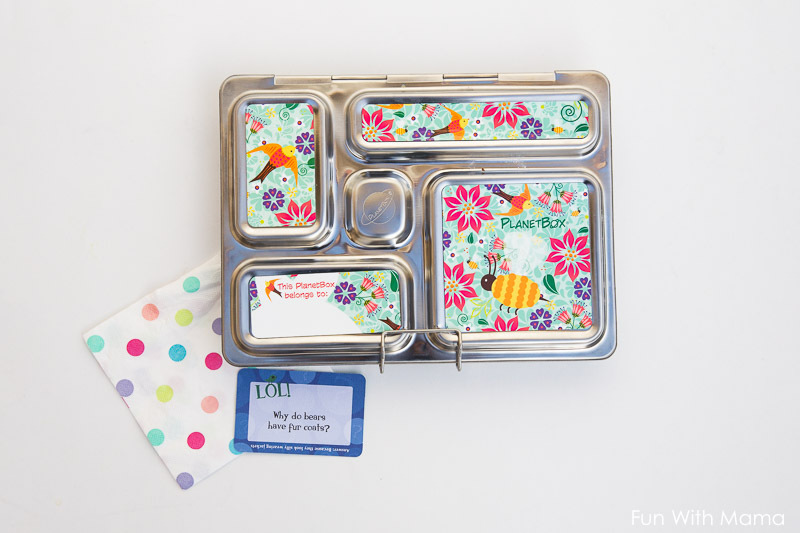 If you have a young child then you need a kids bento box! It’s a must! 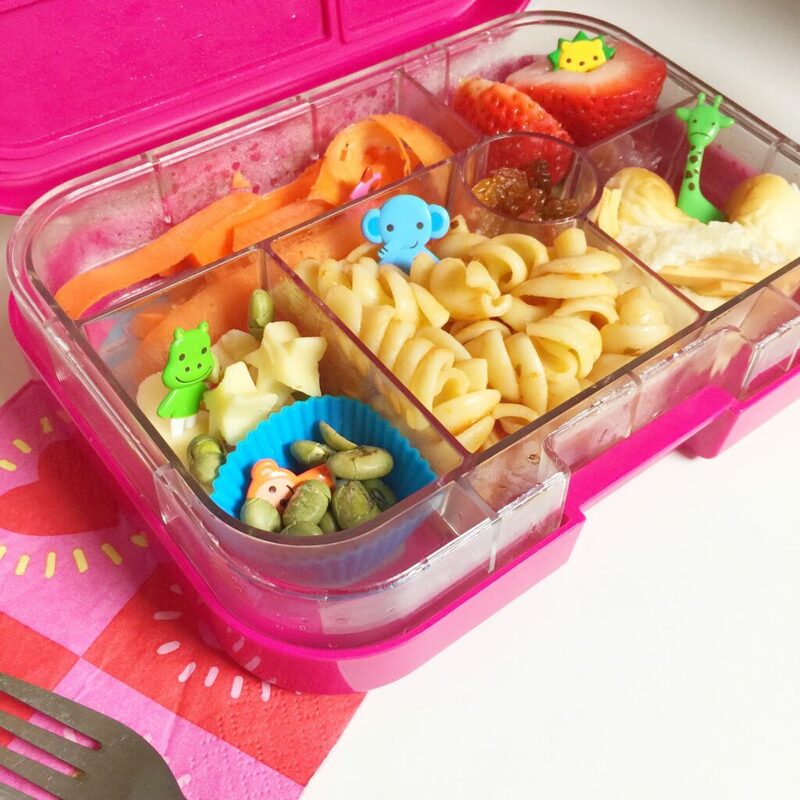 Check out my tried and tested list of the best bento boxes for kids. Not sure what bento lunchboxes area? 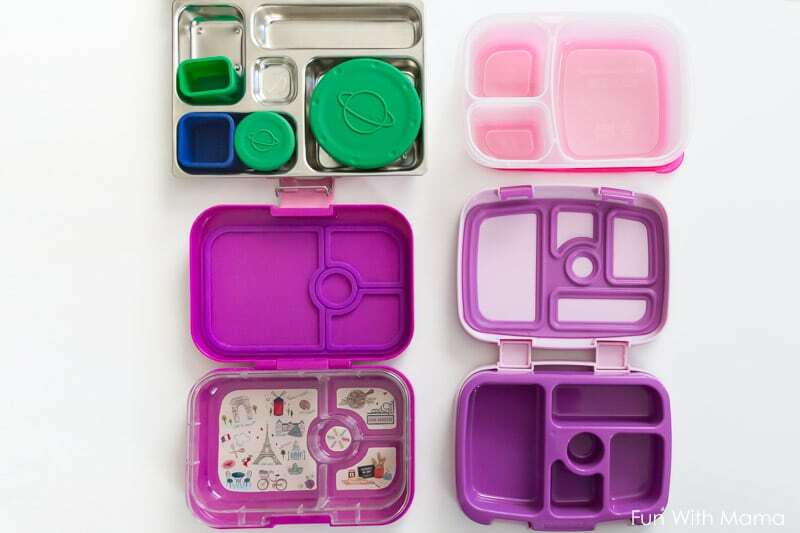 They are a compartment lunch box that allows you to separate your food choices. 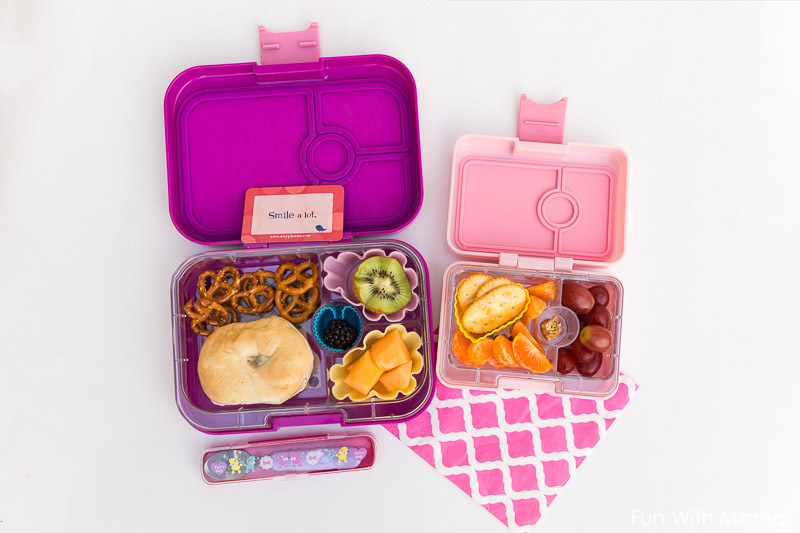 My favorite bento boxes for kids include the Yumbox Panino, the Planetbox Rover, Yumbox Mini, Thermos Thermal containers and the easy lunchboxes too. 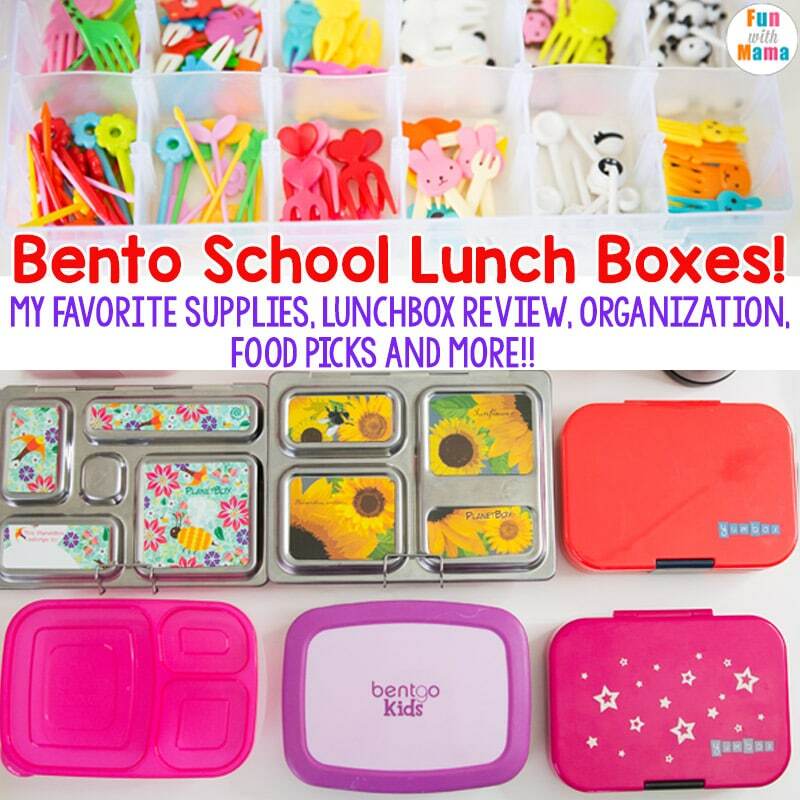 If you have a preschooler or are even looking for the best bento box for your toddlers, I highly suggest you make a good set of purchases now while your children are young. You will be using each of these items for the next few years. Each lunchbox featured in this post is durable. They last years. They are high quality and they really add oomph to your child’s lunch time! Please don’t forget to subscribe to my YouTube channel here. 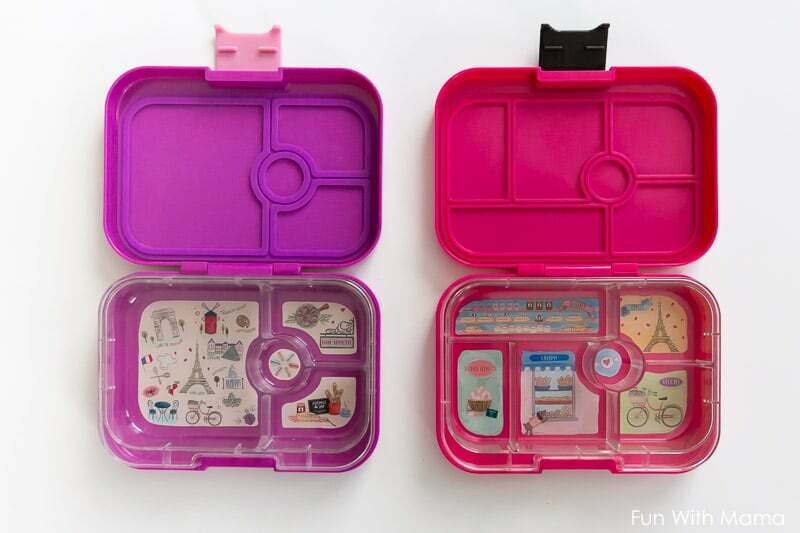 Why use a Bento lunchbox for kids? I feel like you are setting the stage for children’s eating habits when they are young. Try to get those vegetables and fruit into their diet so that their palette gets a taste of a variety of different foods. 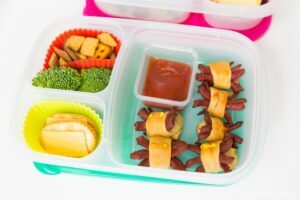 If you have a young child who isn’t a VERY picky eater and who is still willing to try things, now is the time to keep the picky eating at bay. Make sure that you pack a variety! 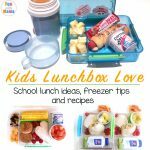 I have discussed 11+ School Lunch Ideas Tips, Tricks and Hacks! 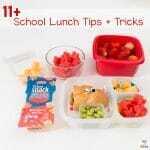 including How To Pack Bento School Lunches Quickly. But first, it’s always important to figure out which Bento lunchbox you are using first. Do you NEED all of these different lunchboxes? No. Do I suggest that you have more than one? Yes, it’s nice to have a bit of variety! I completely understand the picky eater too. Sometimes, no matter how hard we try as moms… some children are very averse to certain foods. This can be because of a texture that feels icky (like fruit) and that’s okay. For my picky eater (1 out of 3 of them is picky), I choose a bento container that has less compartments AND, I always make sure to pack a small little sampler of something they don’t love. My rule is, if I pack the bento lunch my child has to at least try one item that they don’t love. I make sure every other item packed in there is things they LOVE. 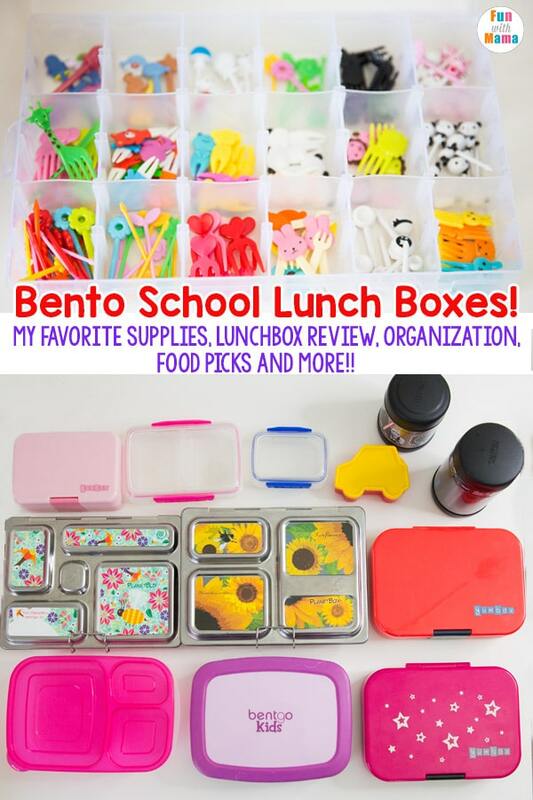 The bento lunch box containers that I am going to discuss here include those from the brands above: Yumbox, Planetbox, Easy Lunchboxes and Bentgo. 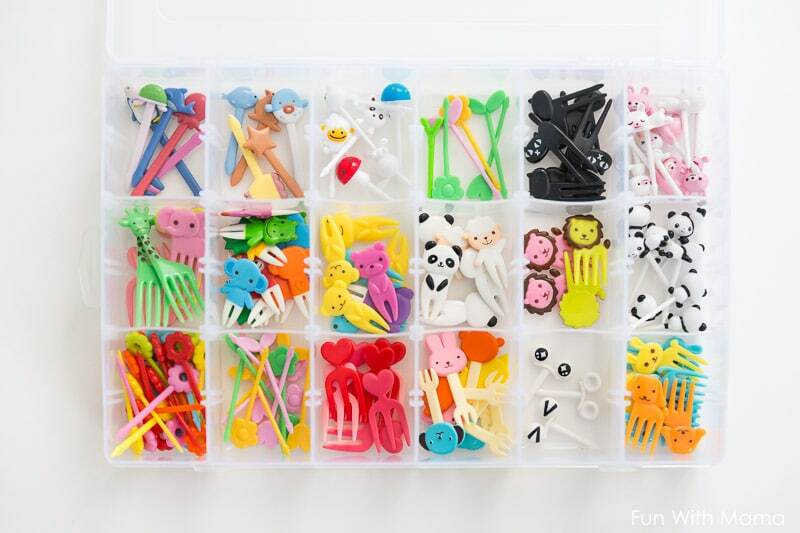 We are going to start with the Yumbox bento box for kids. They are probably the most famous and often the ones I am asked about most. The Yumbox has three sizes: The Yumbox original, Yumbox Panino and Yumbox Tapa. 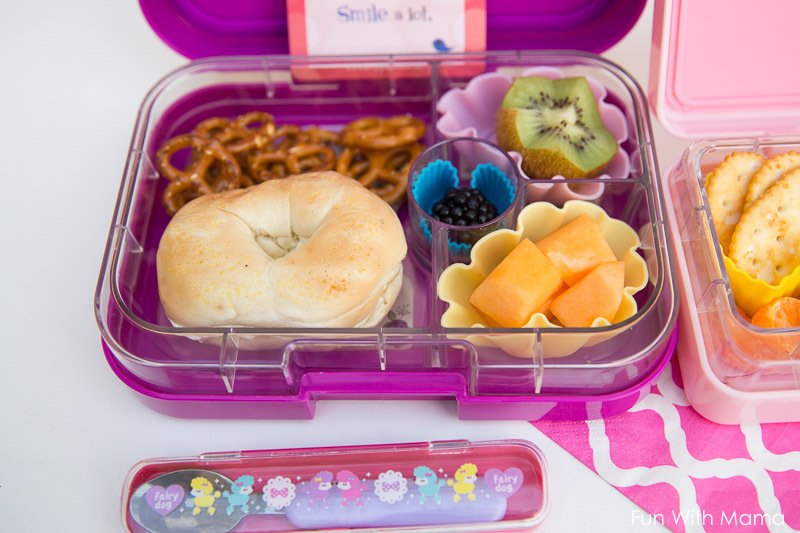 The Yumbox lunchboxes are BPA free. They have removable trays to make cleaning easier. The tray is dishwasher safe (top rack only) and the lunchbox container is leakproof. They come in a variety of colors and really look gorgeous! The Original Yumbox has 6 compartments and is most suitable for toddlers and early preschoolers. This is the lunchbox you want to use if you have a child who prefers eating a variety of things versus a few choices. 5 compartments are 1/2 cup sizes and the little circle is perfect for a small dessert. I find that for my children’s appetites, the 6 containers can be a bit daunting to me. You can find the original here in Bijoux purple and here in surf green. 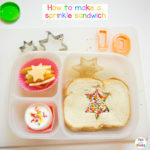 The Yumbox Panino is my favorite Yumbox and to me one of the bento boxes for kids that I think everyone should have. They have 4 compartments, one 2 cup portion, 2 1/2 cup portions and a 1 oz dip/treat section. The 2 cup section is sandwich friendly and it is my favorite size. My preference is the Yumbox Panino size. It is the perfect amount of containers to keep me from feeling stressed out, it’s most like how I pack my children’s school lunches and they each get enough food. You can find it here in pink and here in blue. 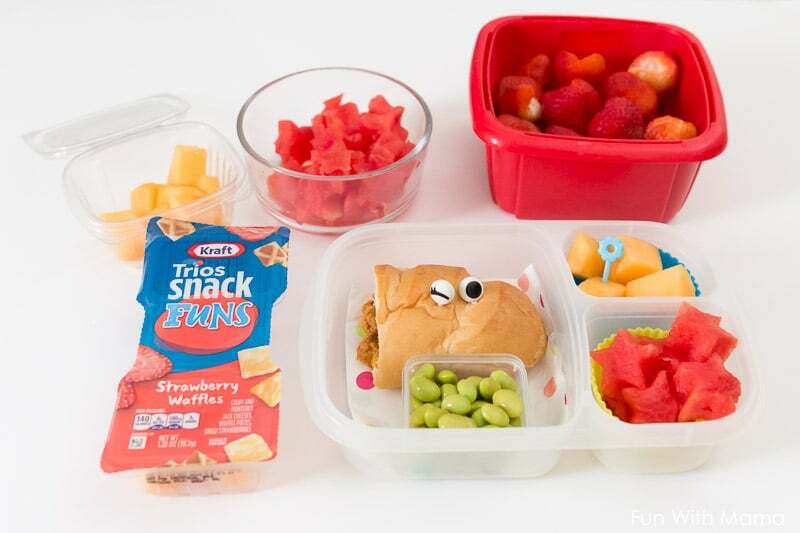 You can see my blog post on how to create a fun back to school lunch ideas, like the one above here. The Yumbox Mini Snack also follows the Panino container layout, but in a smaller size. There are 3 sections including one 3/4 cup section, 1 1/3 cup section and a little dip treat area too. 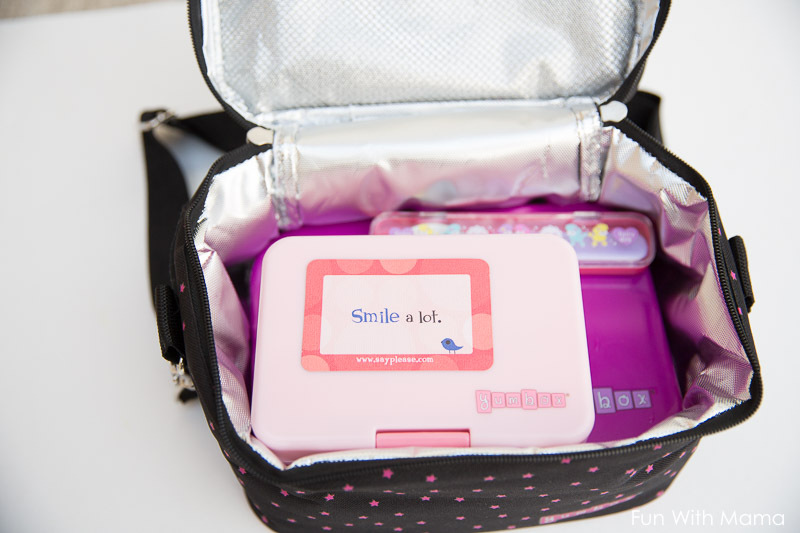 I love our Yumbox Mini for on the go. You can find the mini here in light pink and here in surf green. The above picture is the Yumbox Panino (on the left) verse the Yumbox Original (on the right). Yumbox also has the Yumbox Tapa, which is larger in size. It is probably more suited to adults. They also have their own thermal containers called the Zuppa thermal food jars. Yumbox sells their own lunch bag that fits the Yumbox Panino and the Yumbox Mini, with space to spare. I generally use my children’s Pottery Barn kids lunchboxes with the Yumbox but like having a bigger option too. 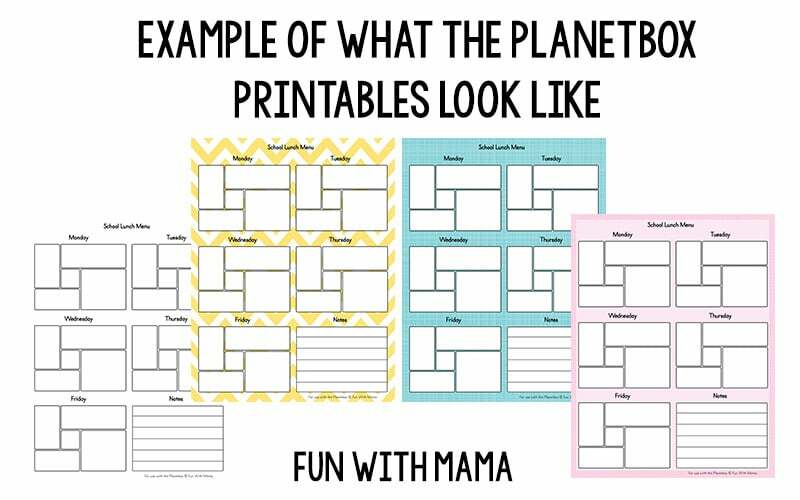 Have you ever heard of The Planetbox bento lunch boxes? My favorite size is the Planetbox Rover. They are eco-friendly stainless steel bento lunch box for kids that contains no lead, PVC, phthalates and BPA materials. They are dishwasher safe and come with a 5 year guarantee. Let’s start with my favorite size of Planetbox. The Planetbox Rover has 5 compartments and holds about 5 cups of food. While the lunch box is not leakproof the Rover comes with 1 big dipper container and 1 little dipper container. These containers are leak proof. They come with a set of interchangeable magnets so that you can change up your design choices or use it between different kids. 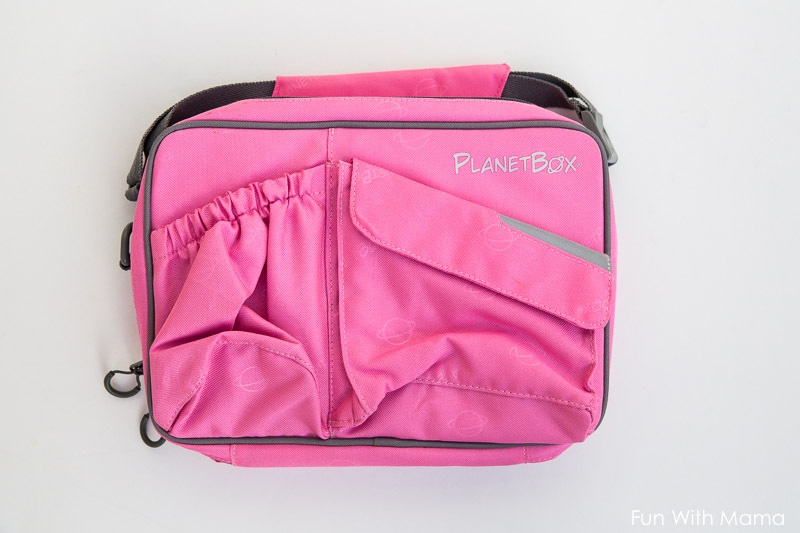 You can also purchase a bag for your Planetbox lunchbox that has a spot for drink too. Planetbox also sells a snack container called the Planetbox Shuttle. 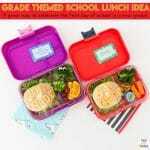 I have not tried this but am sure it is wonderful in quality as are their other lunchboxes. The Shuttle has 2 compartments and holds 3 1/2 cups of food. If you are looking for a Bento box for adults, that is larger than the Rover, Planetbox also sells a stainless steel lunchbox container called the shuttle. It has 3 compartments and can hold 3 cups of food. My only con with the Planetbox is how heavy it is. It is much larger than the Yumbox and a lot heavier. Even though its heavy, it’s still a wonderful lunchbox and I highly recommend it. The below lunch is a special birthday lunch I prepare for my kids. 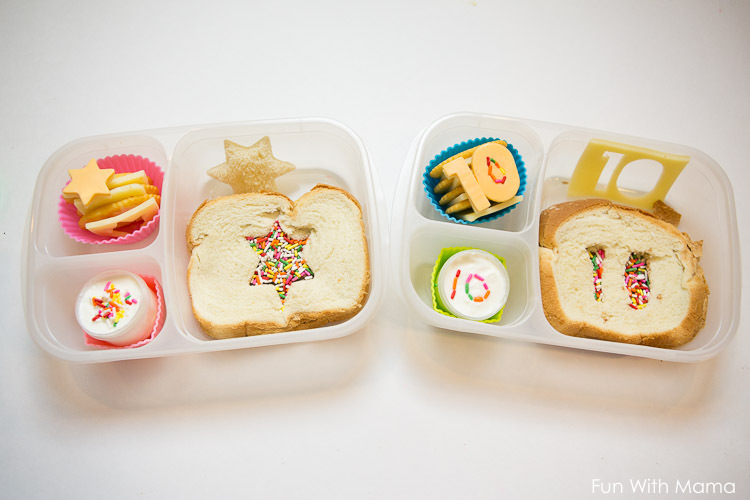 It is a treat lunch and I’ve included a step by step tutorial to show you how to pack a bento birthday school lunch. Oh the Easy Lunchboxes, let me count the ways that I love thee. When I want a lunch that is NO stress, no thought needed, just literally grab and go I will always reach for the Easy Lunchboxes. They come four in a pack, are really light and are wonderful in quality. They are SO easy to wash too. I just give them a quick rinse in the sink and put them straight into the dishwasher. When the dishwashing cycle is done I am left with perfect and clean lunchboxes. I don’t have to baby these containers at all and they are great value, especially at that price point! If you want a lunchbox that you can pack in advance at the beginning of the week and put in the refrigerator, this is your go to. For more EasyLunchboxes inspiration, you can always check out their YouTube Channel. 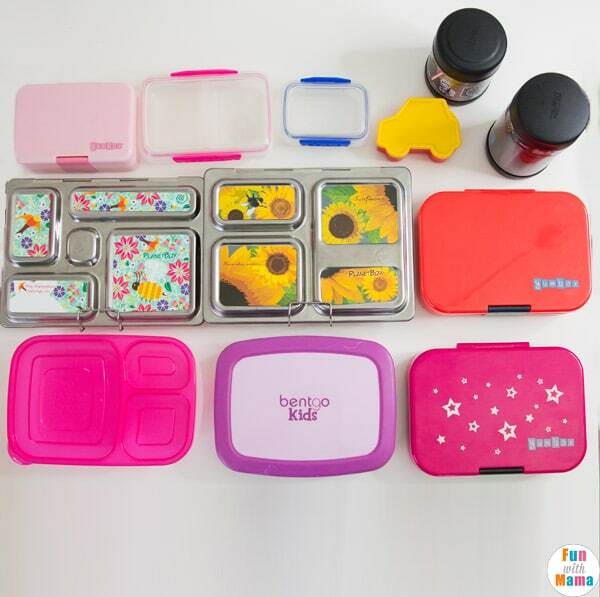 The Bentgo Lunch box is a great bento box for younger children including toddlers and preschoolers who don’t eat as much. Each section is leakproof and there are silicone grips to keep it from sliding everywhere. The largest compartment fits half a sandwich. There are 5 compartments and it is microwave and dishwasher safe. There is also a 2 year warranty. I am sorry, I can’t see to find my picture of this on my computer right now. I will find it and update this post with a picture, but for now… check out my lunchbox YouTube video, which gives you a closer look at this lunchbox. Having a Thermal Lunch box or rather, a thermal food jar has made such a big difference to my lunch routine. My thermal food jars are packed into my kids school lunch 1-2 times a week. They are perfect for Macaroni and cheese, soups, pasta’s and anything else you want served hot. You HAVE to prep the jar for it to work. You need to put boiling water into the food jar and close it up. Leave it in there for 20 minutes and right before you are ready to put in your hot food, empty the water, add your food in and quickly close it. How I do it is I wake up, prep the jar by adding boiling water into it. I close the jar and get started on prepping the items I want to put into the food jar as well as any snacks I will be adding. That normally takes me 10-20 minutes. After a minimum of 10 minutes I empty the water and add the food in it. You can find the smaller 10 ounce food jar here and the large 16 oz jar with the folding spoon here. You can find some sweet free printable school lunch notes here. There are so many fun school lunch ideas all over the web. One of my favorite food related Instagram accounts that inspires me every single day is @treetz_by_reez – Follow her here . Her recipe’s are delicious and her lunchboxes always inspire me! 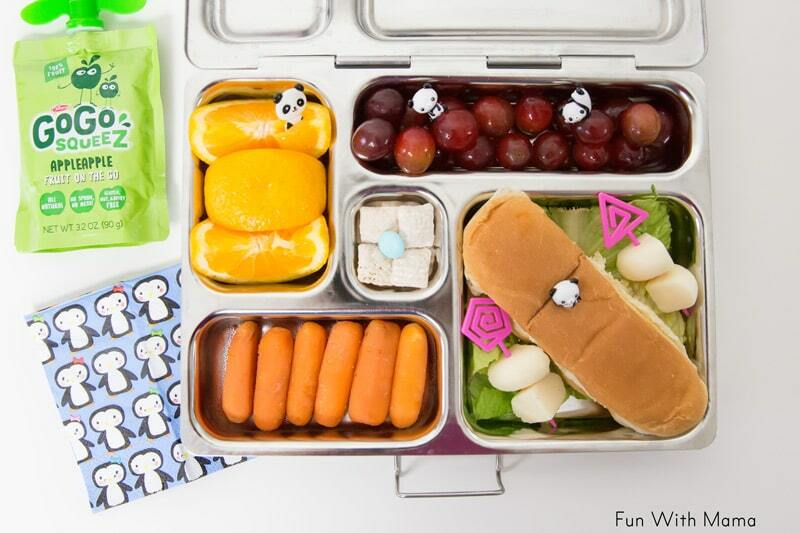 Another account that I love who puts together some fancy lunchboxes is my friend @naqiyah_mayat – follow her here. She has such a unique perspective in her pictures and I love looking at lunchbox packing through her eyes. Her lunchbox flat lays are so creative! 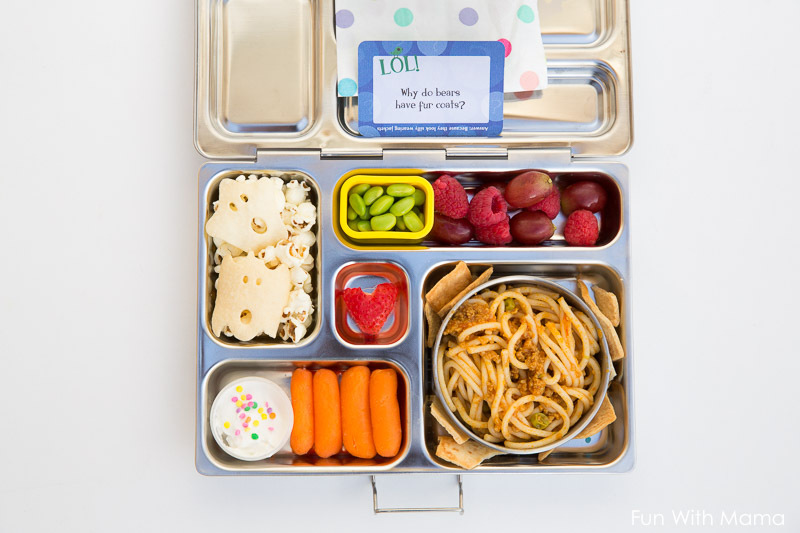 A great addition to these bento boxes for kids are food picks. Food picks can really enhance a rather boring looking lunch. After looking at how long this blog post is, I have decided that the food picks and cutters will have to get their own blog post. I am a very visual person and therefore incorporate A LOT of pictures into my posts. I feel like the only way you can decide which is the best bento box for kids is by visually seeing them all and comparing them. I should have the food picks and cutters post up by next week. 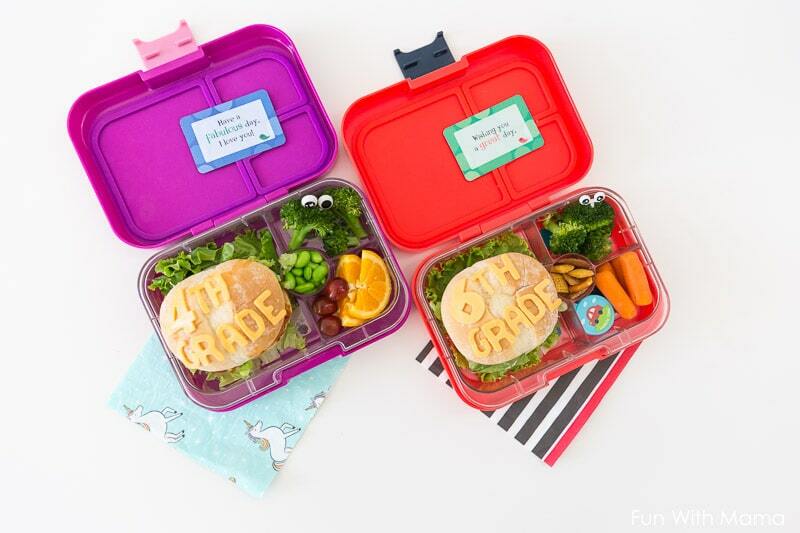 Have you tried any of these lunchboxes? I’d love to hear your thoughts? What is your favorite lunchbox? What are the pro’s and cons to it?